Men and women in their 20s and 30s have the luxury of clear vision both near and far, but as you age your natural eye lens loses its flexibility and has difficulty translating close objects and text into clear images on your retina. This is called presbyopia, and it's the reason you have to squint or hold reading material farther from your eyes in order to see clearly. Near vision loss happens to everyone eventually and is a natural part of the aging process. For qualified candidates, the KAMRA™ Inlay is designed to restore your near vision. This FDA-approved implant offers an array of benefits for those in their 40s, 50s and 60s. If you're tired of reading glasses, please contact our office about KAMRA™ Inlay today at (916) 485-2020 to schedule your comprehensive KAMRA™ evaluation. 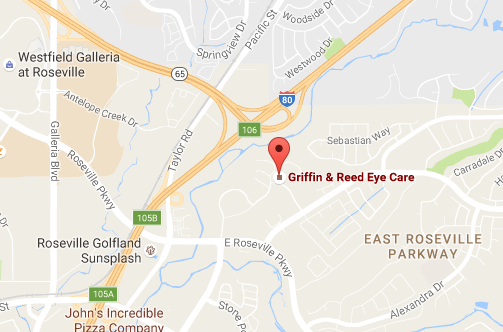 Griffin & Reed Eye Care provides experienced eye care and surgery to clients in Sacramento and Roseville, California. KAMRA™ Inlay is a thin, small ring about one quarter of the size of a soft contact lens that is implanted in your cornea. The inlay has a pinhole opening in the center. This miniscule hole is designed to work like a "pinhole camera" and only allows focused light rays to enter your eye. The tiny ring is placed in one eye to correct your near vision while the other eye is left alone to maintain distance vision. The procedure takes approximately 15-20 minutes and is done on an outpatient basis. Your eye surgeon will create a small pocket in the stromal layer of your cornea with a laser and the KAMRA™ Inlay is placed inside the tiny pocket. The pinhole is positioned directly over your pupil for optimal near vision improvement. KAMRA™ Inlay was the first of its kind to be approved by the FDA in America. This eye procedure offers a wide range of benefits for those suffering from presbyopia and is an alternative to monovision. One of the best benefits of KAMRA™ Inlay is that it's designed for men and women between the ages of 45 and 60 who have lost some of their near vision and are frustrated with reading glasses. Laser eye surgeries such as LASIK can also correct presbyopia as well as other forms of refractive errors including nearsightedness, farsightedness and astigmatism. Your eyes are an essential part of the intricate system your body uses to translate light into images, and it's important to choose a skilled eye surgeon to restore your eyesight. Our eye doctors have decades of experience correcting vision through various eye procedures. You could be on your way to better vision today. Call our office in Sacramento at (916) 485-2020 to schedule your evaluation. 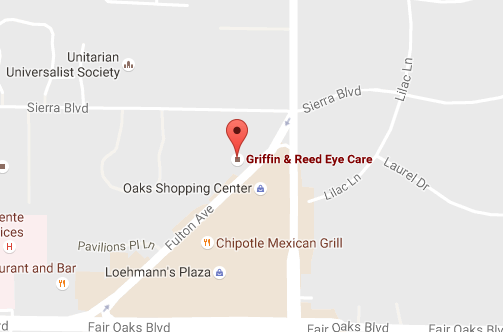 Griffin & Reed Eye Care serves clients throughout California including Sacramento and Roseville.